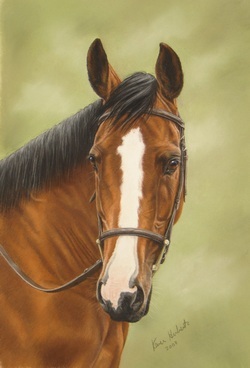 This amazing artist does her portraits in pastels this is one of my friends horses who sadly died before this was done she has done many for me friends and family all are amazing and could be photos she is that good. She captures the tiniest to the largest character of the animal which is why its 100% accurate you could be actual looking at the animal in real life. capture your animal for life in a beautiful portrait which will stay with you for ever and be a tribute to you family member please view her website.